I don’t know about you, but I’m always looking for new ways to improve my family’s health. So when I first learned that a detox bath for kids is a natural way to boost their immunity, remove toxins AND promote sleep, I was ALL IN. It’s so easy to do, I know you will be too. A detox bath is a bath that uses detoxifying ingredients that your body absorbs and uses to flush out toxins. 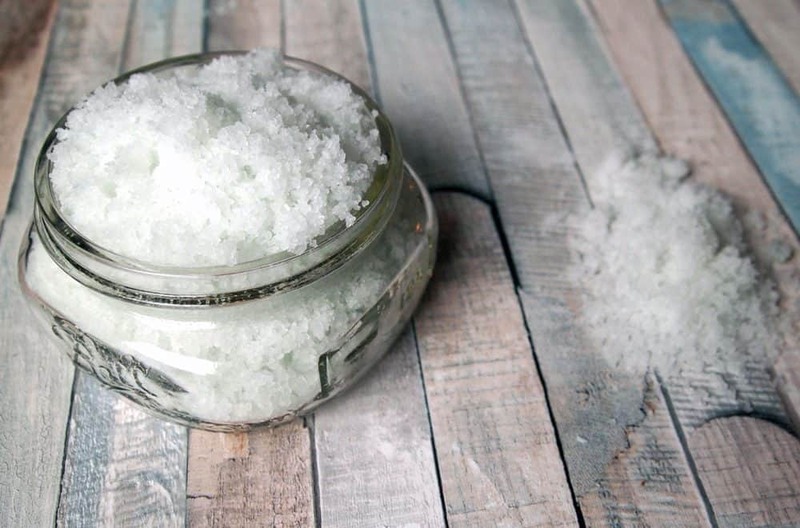 Many detox baths use Epsom salts because of their high magnesium content, and that is exactly what I use when I make a detox bath for my kids. Taking a detox bath can help boost your immune system, ward off sickness, remove unwanted toxins from the body and promote healthy relaxation and sleep. 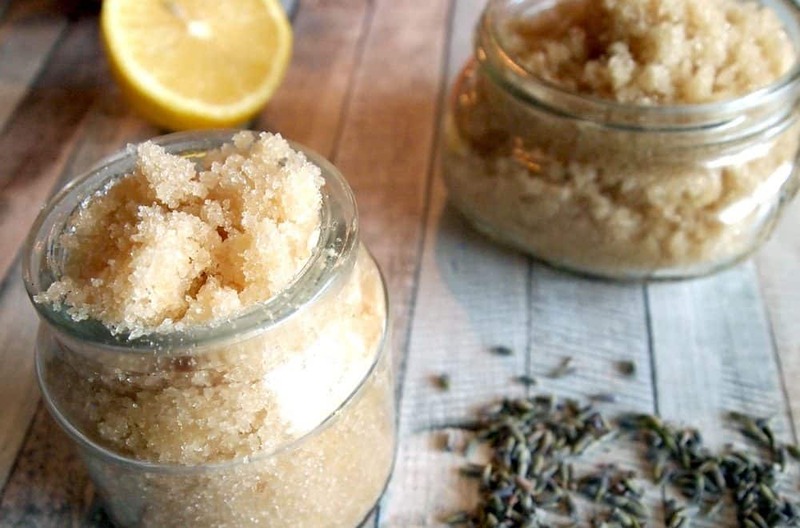 A DIY detox bath is an easy way for kids and adults to increase wellness on a weekly basis. WHY DO MY KIDS NEED A DETOX BATH? Your body collects toxins from everywhere and it is your liver’s job to get rid of them. The problem is, sometimes it’s just too much for one organ to handle! Toxins are abundant in our modern lives, and our kids are more susceptible to them than we realize. From the shampoo and toothpaste you use to the pesticide your child’s school sprays on the school yard, it’s hard to keep toxins away from ourselves and our kids. Even if you take care to use natural products, cleaners and do your best to keep toxins out of your home, they are plentiful in public places. So what’s a concerned mama to do? A detox bath can do wonders to reduce your kids’ toxic load while also promoting general health and relaxation. Plus it is the ultimate bath for sick kids and can help them get over a cold quickly. IS A DETOX BATH SAFE FOR KIDS? There are a number of ways to detox the body, but an Epsom salt detox bath is gentle and absolutely safe for kids. Just make sure you use the appropriate amount of Epsom salt for their weight. Since Epsom salt is high in magnesium and they will be absorbing lots of it through their pores, you want to make sure it’s not too intense for them. 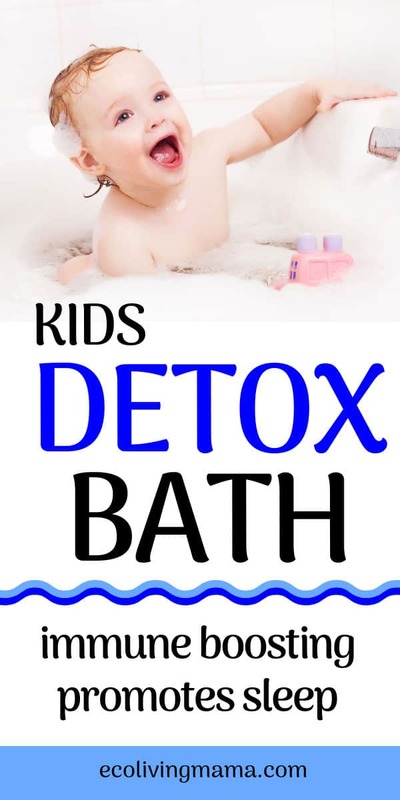 I’ve included all of the ingredients for a kids detox bath on this page so you can easily shop what you need. The detox bath recipe above is for kids UP TO 60 pounds. For kids 61-100 pounds, increase the Epsom salt to 1 cup and baking soda to ½ cup. For kids more than 100 pounds and adults, use 2 cups Epsom salt and 1 cup of baking soda. The baking soda helps to remove chemicals from the water and helps your body to absorb the minerals from Epsom salt. Unless you have a full-home water purification system, I would add the baking soda. Make sure to use only clean, natural products while in the bath. Your child’s pores are open and absorbing the minerals in the detox bath and you don’t want them absorbing toxins at the same time! A couple of my favorites are this liquid soap from Dr. Bronner’s that can double as a shampoo or body wash, and this gentle shampoo and bodywash for kids from Alaffia. Run the bath water as hot as is comfortable for your kids. The water should be hot enough to make them sweat if it’s comfortable for them. WHAT ESSENTIAL OILS ARE GOOD FOR A DETOX BATH FOR KIDS? Drop me a comment below if you try this detox bath recipe for your kids! What are your favorite ways to help your kids detox?